I saw some pretty incredible things this summer as your Saskatchewanderer. Now, I’m taking a moment to reflect, and share with you some of the highlights. Check out these - my top 5 unexpected moments from the past few months. Wildlife encounters. From bears in Meadow Lake Provincial Park, to the sole stag running across the Grasslands, to the most adorable animal pal I’ve ever had, Saskatchewan is teeming with hairy, four-legged life. 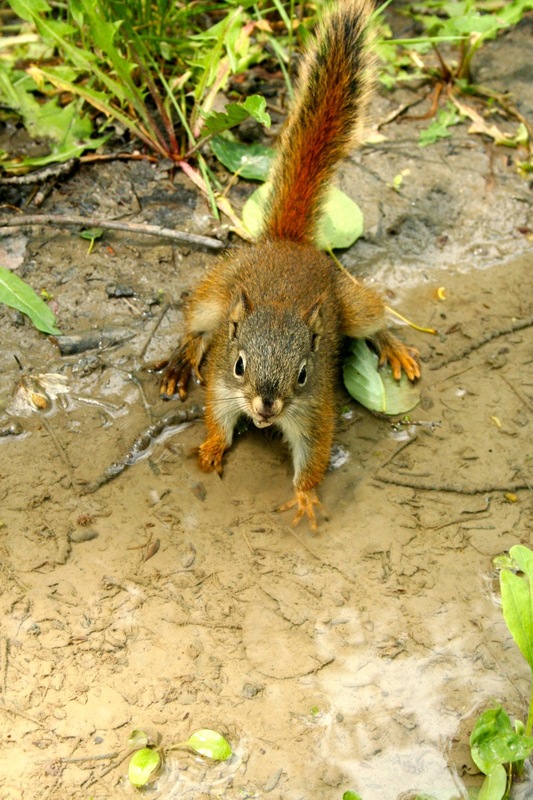 Don’t go sneaking up on them, though - always be noisy when hiking to avoid unwanted surprises. Wakeboarding and wakesurfing. Two fun facts here: 1) Saskatchewan is home to several world-class pros, and two huge wakeboarding events: Wakeride in Saskatoon, and the Sasktel Summer Invasion in Regina. 2) If you’re discouraged by your lack of wakeboarding success, you can choose - like I did - to do wakesurfing instead. You let go of the rope and follow the wave behind the boat. No one tells you that you can surf in Saskatchewan, do they? Ziplining. Ever wanted to go flying through a forest canopy at high speeds over 40 feet from the ground? Ever wanted to do it in Saskatchewan? Not only are there trees tall enough to do it, but the Cypress Hills Eco-Adventures zipline tours will show you a great view of one of the province’s most beautiful ecosystems. This isn’t quite like bird-watching, though - the longest zipline there is over 600 feet long. Flying. North of Saskatoon, things start to spread out a lot. The extensive boreal forest means roads are few, drives are long, and gas bills are large. To get up to the Athabasca Sand Dunes, I had to hitch a ride with some of the pilots of the Century Flight Club - and one of them was awesome enough to let me try my hand at flying! I wonder what’ll happen if I put a propellor and wings on my Ford Escape... The Sheepdogs. Back on Canada Day, I interviewed Saskatoon-based rockers The Sheepdogs. That was the day that the contest to get on the cover of the Rolling Stone was ending - and it would be a month before the public would find out if the hometown heroes had bested a Californian pop singer. 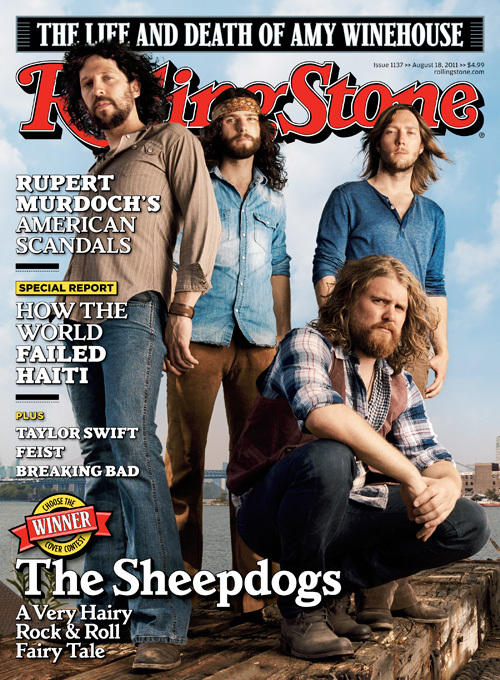 On August 1st, it was official: The Sheepdogs had won, and you can see them on this month’s cover of the Rolling Stone. Better yet, I can now happily welcome them to the Club of Saskatchewanian Social Media Contest Winners - that’s right. I’m in a club with The Sheepdogs.